The story behind our company began in the 1980s when a South Dakota farmer’s wife inherited a 40-acre tract of the wettest river-bottom land in Clay County. 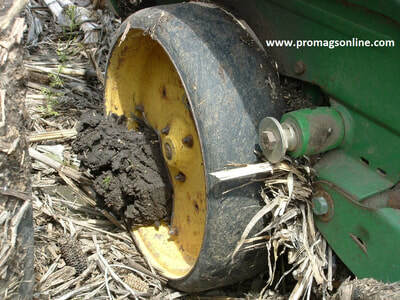 This often flooded no-till land provided every opportunity to determine how and why row units plug. While unplugging a gauge wheel on one occasion, it was discovered that the opposing gauge wheel had a round mud ball rolling on the rim perimeter. This phenomenon sparked the creation of our innovative gauge wheel system. The first wheel we tested vividly shows how much pressure builds between the furrow opening disc and the vertical wall of the gauge wheel during row plugging, stressing bearings, arms and pivots. We also learned that it would be critically important to have wheel slots extend as close to the outer rim perimeter as possible to avoid a ridge which would further hold back mud and other field refuse. In 2007, the inventor’s son entered a family business plan at the University of South Dakota’s Extraordinary Idea business competition and subsequently the South Dakota Governor’s Giant Vision Competition. After placing first and second respectively with encouraging reactions, the Pro Mags LLC company was formed. He then traveled to Australia in 2008 where these innovations attracted a great deal of interest and press coverage in a number of Australian publications. During the many years of testing we have made numerous discoveries about the plugging process, from the “rolling wedge” that can develop in-between two furrow-opening discs, to the trash and soil obstacle created by the frame-mounted scraper arms of conventional planters. 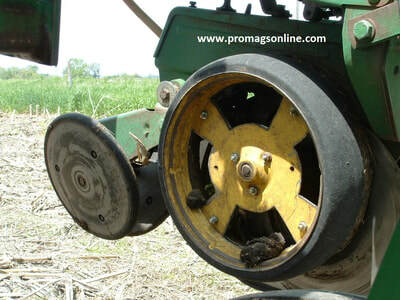 We have designed and tested various wheel liners, trash-deflectors and scrapers, along with a variety of slot configurations, and we are convinced that we have developed the best combination of products for effective planting in varied weather conditions. 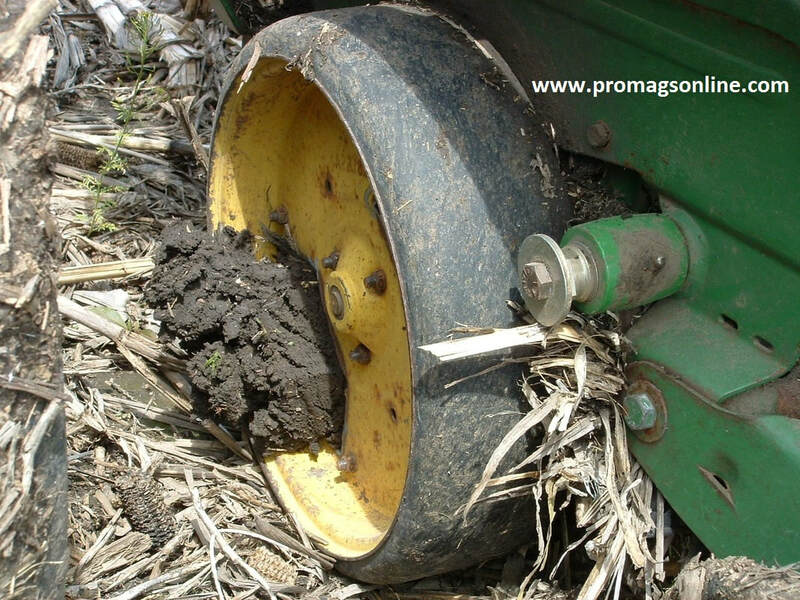 The Pro Mags all-weather gauge wheel system attaches readily and easily to every major brand of planter with no modification(s) to the planter itself. We have been thrilled with the results of our inventions, and sincerely appreciate your consideration of these products. We know that adding the all-weather gauge wheel system to your planter will increase your planting time opportunities, acres planted and yields, and we welcome any questions or comments that you may wish to share with us at any time.